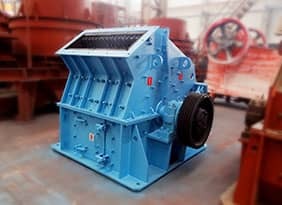 FC and FG Series Spiral Classifier is mainly used in pre-classification and examination classification of grinding circuit in concentration plant and aggregate plant as well as desliming and dehydration in the process of sand washing. 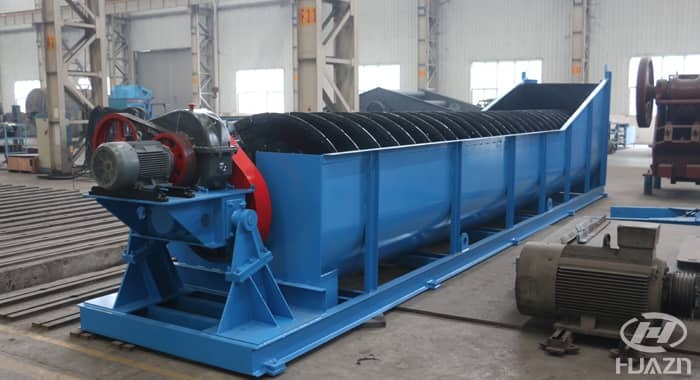 It can be classified into single spiral and double spiral according to the spiral quantity; and high weir type and sinking type according to the different depth of blade dipping into overflow surface. 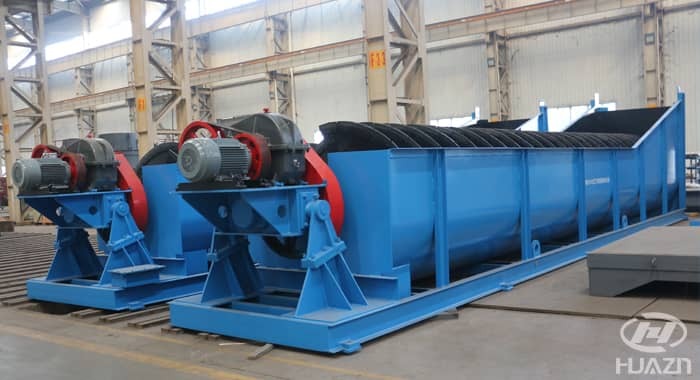 The former one can be used in classification of ore and sand washer with overflow granularity 0.83-0.15mm, and the other one in classification of ore and fine powder with overflow granularity 0.15-0.07mm. 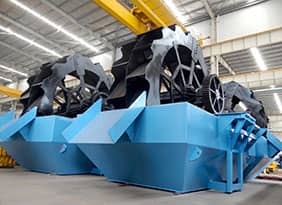 The machine has features of reliable performance, stable operation, excellent sand washing and classifying. 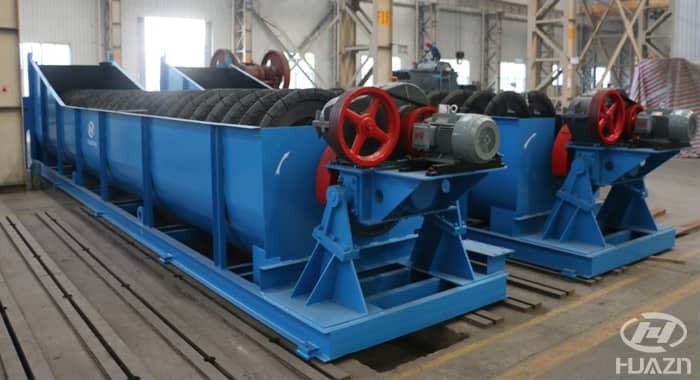 The machine is used to control the loss amount of powder for sand washing in the aggregate system. 1. 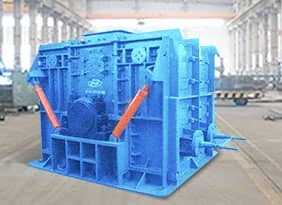 This classifier adopts sealing immersed bearing. 3. Wearable liner of bolt installed to prolong the service life. 4. Cell body in long and narrow shape can reach a good mixing effect and prolong the suspension time of materials. 5. Single spiral and double spiral type can be selected in line with your actual need. 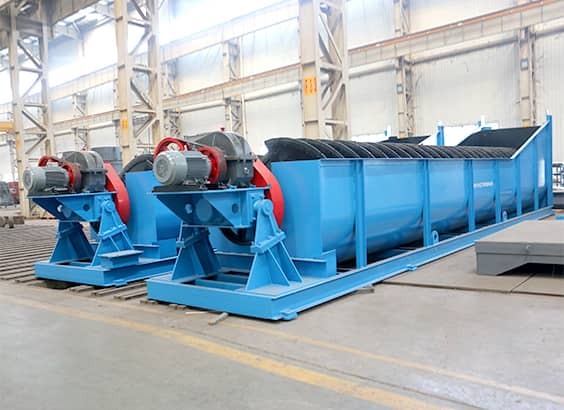 Spiral classifier adopts the principle that the settling rate of solid grain is different because of its different size and different proportion. The fine ore grains float in the water and drain out with overflow, the coarse ore grains sink in the bottom of chute. 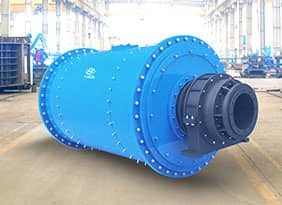 The spiral classifier filters the grain and powder that are grinded from the grinder, and then the spiral pieces rotate the coarse materials into the feeding mouth of grinder, the filtered fine materials are discharged from the overflow pipe.